Pound Sterling rallied through a major resistance level against the Euro to achieve a two-year high at 1.1664 after Prime Minister Theresa May on Tuesday said for the first time that Brexit could be delayed. May announced the government will give MPs a vote on "a short, limited extension to Article 50" if both her deal, and the chance to leave the EU without a deal, are rejected, thereby giving paliament a decisive opportunity to take a 'no deal' Brexit off the table. Speaking in the House of Commons on Tuesday, February 26, May says parliamentarians will first be asked to vote on a revised Brexit deal following the latest round of negotiations with the EU by March 13 at the latest. The Pound has rallied on the back of the news, achieving a three-month high against the Dollar and a two-year high against the Euro. "The latest Brexit developments helped to catapult the Pound to its highest in four months against the greenback. Sterling soared on hopes that Britain might be warming to the idea of removing from the table the no deal scenario in which Britain departs the EU without a trade agreement," says Joe Manimbo, a foreign exchange analyst with Western Union. "Talk of delaying Brexit beyond late March also helped to reduce the temperature of the crisis, easing pressure on the Pound." If May's deal fails on its second vote in parliament, parliamentarians will then be asked to vote on a whether or not the UK will leave the EU without a deal. If this is rejected a vote on extending Article 50 takes place. The UK parliament has shown in various votes in January that there is a majority against a 'no deal' Brexit, ensuring for the Pound a worst-case scenario can now be avoided, as can an accidental 'no deal' Brexit. What would happen during any Brexit delay is not quite clear, but the performance of Sterling suggests to us markets expect either a softer Brexit or no Brexit at all to take place. Faced with the reality that the pursuit of a 'no deal' Brexit would trigger Conservative party defections, which would in turn topple the government, Prime Minister Theresa May has little choice but to buy herself time to extract concessions from the EU that would allow her Brexit deal to be passed by a divided parliament. We also understand that a three month delay to Brexit will happen even in the event of a Brexit deal being passed as there simply is not enough time left to allow parliament to pass the full suite of legislation required to allow any deal to be implemented in full. The Pound-to-Euro exchange rate has rallied on the news and registered a new two-year high at 1.1643. "The Pound has strengthened because the downside risks to the economy posed by a 'no deal' look less likely," says Ruth Gregory, Chief UK Economist with Capital Economics, who adds the "developments reduce the chances of a 'no deal' Brexit on 29th March, either because Brexit is delayed or because they prompt more MPs to support May’s deal". Robin Wilkin, a strategist with Lloyds Bank says that the GBP/EUR exchange rate is once again re-testing the 15-month range highs around 1.16 and "a clear break" through this area of resistance would "suggest potential" for a further rally towards key long-term resistance in the 1.1977-1.2121 region. We do need to see where the exchange rate ends today before calling a decisive break as often the Pound retreats back down from these levels owing to the sustained selling interest it meets at these rarified levels. "Our central view remains that the UK will eventually see a soft Brexit," says Jane Foley, Senior FX Strategist with Rabobank. 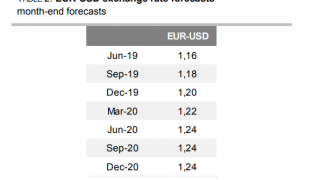 Rabobank forecast the GBP/EUR exchange rate "to be positioned" in the 1.1630-1.1760 area on a 3 to 6 month view, but on a 'hard Brexit' they see the potential for a move towards EGBP/EUR 1.00. Another key story in the political sphere that is giving some limited support to Sterling in the near-term is the Labour Party's effective backing of a second EU referendum. Under pressure from the party leadership, and under pressure from the newly-formed Independent Group, Corbyn appears to have pivoted away from a manifesto pledge to deliver Brexit. The Labour Party have announced that if they cannot get a 'Labour Brexit' through the House of Commons, they'll move to a promise of another referendum on Brexit, a move that has been interpreted by foreign exchange markets as being a positive one for Pound Sterling. But we note it is apparent there is nil chance of a 'Labour Brexit' getting through the House of Commons: the Labour Party do not control the parliamentary agenda and nor does the government of Theresa May appear serious in accepting the opposition party's vision of joining the EU Customs Union. We reckon a second referendum only becomes a possibility if Labour win a snap general election which might be called in the event of the government losing their waifer-thin parliamentary majority over coming months. However, Labour is far behind in the polls with YouGov's latest polling giving them 23% to the Conservative's 36%, while markets hold a negative view on a Labour government's socialist agenda. And of course, would a second referendum actually solve anything? Rather it could condemn the UK to years of further uncertainty. "Sterling has rallied on movements in the political space that have encouraged the bulls. First, Labour is now backing a second referendum - one u-turn. If anything, though, this just hints at the party worrying about an exodus to The Independent Group. Secondly, and more importantly, there appears to be building pressure on the prime minister to take no deal off the table - another u-turn. If no deal is abandoned, it would likely entail a delay to Brexit, and whilst assuaging concerns about crashing out without a deal in place, it would not remove all the uncertainty," says Neil Wilson, analyst at Markets.com. For us then, the key focus from a currency market perspective remains the actions of the Prime Minister.